No matter how minor or severe your water damage or fire damage disaster may be, the team at Restore Rite can help you in your time of need. 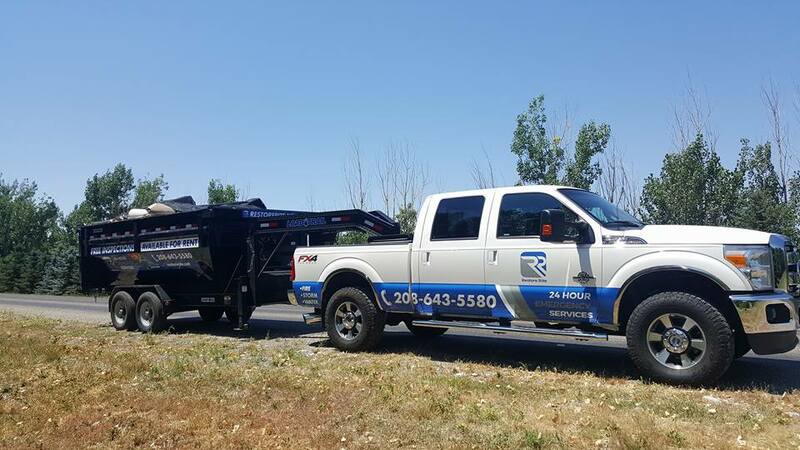 We are local to Southeast Idaho and are a fast, dependable, and affordable restoration service provider. We’ve helped many area residents get their home back in order the right way. We offer a 60 minute response time and we answer our 24/7 Hotline at all hours. When it comes to top-quality water damage restoration, you should expect immediate assistance. Immediate water extraction and drying is necessary to minimize damage and cost of repairs. You should expect communication from the restoration company so that you know what is happening and what to expect through the entire process. You should expect for your property to be treated with care and respect. Your property is important to you and you should always expect a restoration team to protect and care for it as if it were their own. Restore Rite isn’t just another water and fire damage restoration company. We are the trusted and qualified professional restoration team that will always work diligently and with integrity to restore your residential or commercial property to pre-damaged condition as quickly as possible. Our team is certified and insured to utilize industry best techniques and equipment to secure, clean, and restore your home successfully. Our professionals are on call 24 hours a day, 7 days a week so that we can provide optimal customer assistance when you need it the most! When it comes to your property, you want to know that you have a team that you can trust to take care of your property as if it were their own. When Restore Rite is on the job, you can rest easy knowing that each one of our technicians has your best interests in mind and will work hard to perform a successful restoration that is done right the first time. Found some water damage in my house. These guys were over within the hour of me calling (which was way after business hours) and working on it the very next morning. Extremely professional and friendly. Couldn't have hoped for better service. They are very nice people and came to my rescue right away. They worked very hard putting everything back together. Thank you restore rite. Kinyon came back to my rescue on a Friday night when another small event happened during our remodel. Thank you Kinyon!!! Restore Rite is located in Blackfoot, Idaho and serves many locations nearby. The professionals at Restore Rite are certified and experienced in high-quality water and fire damage restoration and go above and beyond to help our clients in their time of need. To us, water and fire damage restoration isn’t just about structural cleanup and repair – it is also about helping our customers feel safe and secure during a devastating time. Contact us today! Copyright © 2019 Restore Rite. All Rights Reserved.